I wish I could use the excuse of being an outdoor novice, but while hiking is a new thing in my adult life, it’s not exactly new to me. Growing up, I spent seven of my summers at Camp Barney Medintz — one of those old-school, four-week long sleepaway camps with no air conditioning and few amneties — and outdoor activities (and safety!) were a regular part of the experience. Because of camp, I’ve done a few multi-day backpacking trips on the Appalachian Trail, I’ve slept outside with just a tarp for protection, I even completed a 24-hour solo camping trip (without a tent and equipped with only the basics) during my last year as a camper. I’m also the daughter of a Life Scout and the little sister of two Eagle Scouts. I grew up learning about responsible outdoor behavior and listening to people talk about the importance of being prepared. But when it really mattered, I wasn’t ready. I was lucky. The worst part of my accident happened over 36 hours later, long after I was back in civilization when my relatively minor insect sting bloomed into a full-blown staph infection. I know without a doubt that what happened to me could have been so much worse. Amateur hikers get hurt. Skilled hikers get hurt. Everybody gets hurt. Seriously, everybody. I’m not saying don’t hike. Just the opposite: hike often and hike far. Just don’t hike dumb. Be responsible, get educated, and take measures to keep yourself safe. 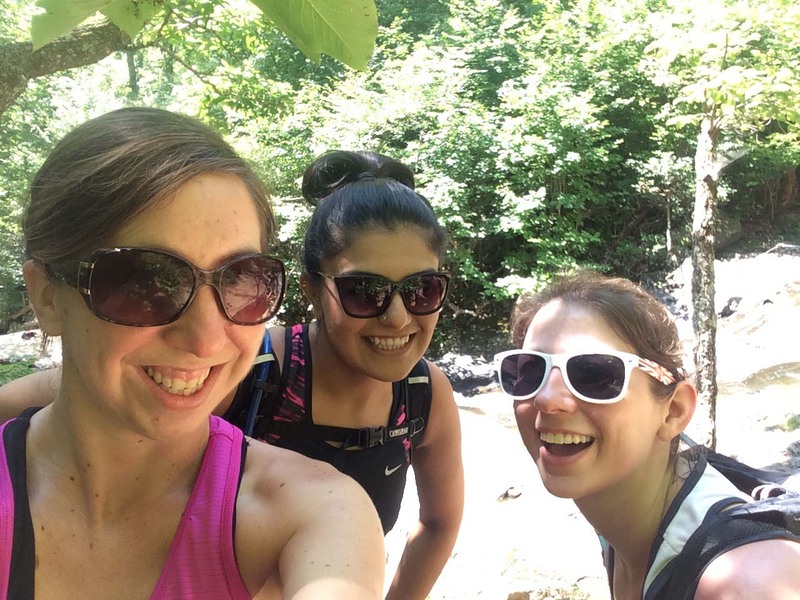 For me, becoming responsible for my safety and the safety of those hiking with me meant I needed to arm myself with better resources for my first post-staph hike. Not knowing where to start, I took the simple route — I threw money at my problem. 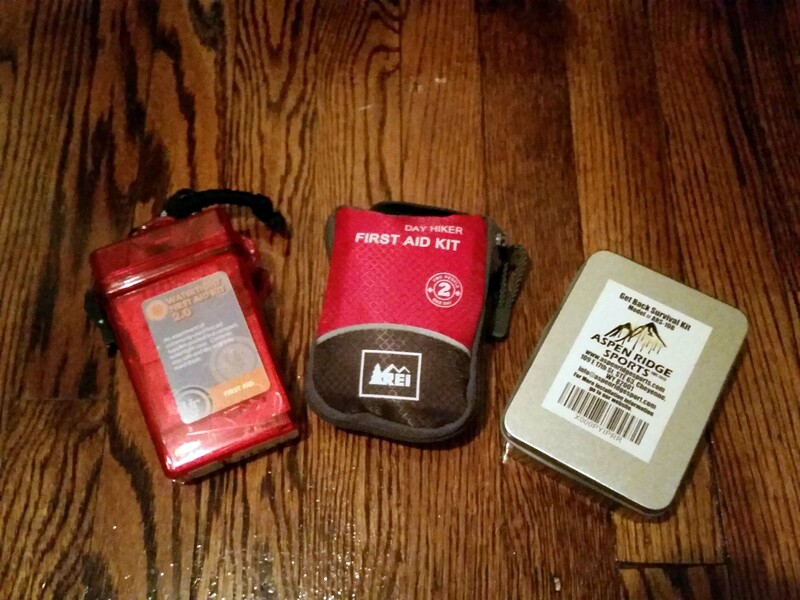 I went on Amazon and trekked all the way out to the REI in Maryland, and I bought three different kits (two first aid, one survival). For the first month, I felt pretty good about the steps I’d taken. In late August, I was recertified in CPR and first aid for my job, and now I was also armed with bandages, pain pills, allergy meds, moleskin — the works. But every time I put my first aid kit in my pack, I felt like it wasn’t enough. I had all of the resources, but I was lacking the knowledge for why my first aid kit contained x item instead of y item. Even worse, what if I was missing some vital component? There were so many options when I went to the store, I just settled for the day hiker kit. What if I’d made a mistake? To find my answers, I turned to my old standby, research. And by research, I mean I started Googling, opened a million tabs, and read a bunch of articles. I found some great content on Washington Trails Association, Outdoor Herbivore, Outside Magazine, and Andrew Skurka’s website. All of these reads are worthwhile, and I highly recommend them if you’re interested in spending more time thinking critically about first aid. The reality is I can’t bring everything in my apartment (or CVS) with me when I go out hiking or I’ll collapse under the weight. The list below is what I’ve decided on for a day hike. For most items, I’m only bringing 1-3 of each. For a multi-day adventure, I would need to up the quantities. Antibiotic Ointment: I still think that if I’d had this with me back in August, I might have avoided my ordeal with staph. Antihistamine: I recently discovered that I’m mildly allergic to everything. After the sting incident, this is an item I started carrying my purse, so if you’re ever stung walking around D.C., come find me. Epinephrine: This is tricky, a lot of people recommend an EpiPen as part of a balanced first aid kit, but you need a prescription to get one. Per my first aid training, you’re also not supposed to inject individuals who don’t have a prescription (here’s a link to some EMTs debating this topic). Since I have an EpiPen, it’s coming with me. Irrigation Syringe: This one had never even occured to me, but after reading about the importance of proper wound irrigation, I think there’s a compelling argument for carrying it. Medical Gloves: OriginalIy, I thought I could omit this, but after doing my research, I’m firmly on the side of not touching anyone else’s bodily fluids. Be sure to get non-latex gloves, since you may not be able to ask a person in distress if they have a latex allergy. Prescription/Over the Counter Meds: If you have a prescription, bring your meds with you. I know that I have a few over the counter items that I bring: Sudafed to help my damaged ear drums cope with altitude changes, Claritin to deal with my allergy to the outdoors, and Lactaid to counter any sneak attacks from milk. Sunscreen: Have you seen me? I’m really pale, and I don’t want to get burned while out in the wild. Tweezers/Tick Key: The mid-Atlantic is solidly in Lyme disease territory, so this is essential. Note: I haven’t bought the gloves and irrigation syringe yet, so they are not included in this photo. Everything except the sunscreen and the EpiPen fits perfectly in my kit. Right now, I still have a nice selection of prepackaged meds from my purchased first aid kits. Once I need to replace these items, I’ll either order packets in bulk from Amazon or I’ll switch over to handy little resealable baggies like these. It’s important to know which meds are in which bag and when they expire, so if I change to this method, I’ll be writing that info in sharpie on the bags. This list of items doesn’t cover the survival aspects of being out in the wilderness (knife, whistle, fire starter, compass, etc.). I’m still doing research on which tools to have on hand in an emergency and mulling over what will work best for me. Stay tuned for more on that front in a future post. What do you have in your first aid kit? Any recommendations or things that you think mine is missing? Leave your suggestions for me below. I’d love to hear from you! Great read, I would suggest a “wilderness first aid” cert. It’s much like your current certification but more detail about wilderness evacuation, and using what you have kinda thing. The ATC club hosts the class in my area. Also, I have seen a great newish compress with a blood clotting agent in it. Just enter the words “quick-clot” of amazon. Thank you! I was thinking about the wilderness first aid certification, but I haven’t had a chance to check what’s available here. I’ll have to look into the ATC’s offerings. And the compress sounds awesome. Thanks for the tips!